I don't think I have shared my testimony about the restoration of the Church of Jesus Christ of Latter-day Saints and of the Book of Mormon as many times as I have within this past week! It has been quite faith building. I had a pretty interesting experience on Saturday specifically. We got up and planned for our day, like normal. We had no appointments made out, so we planned 6 hours of talking to people on the streets (aka finding). As we continued to plan where we wanted to go finding, Sister Vreugdenhil and I instantly felt that we needed to leave Flensburg and go to a further part of our area. We looked at a map of our area (our area covers the west to the east coast of the border to Denmark and South, extending to the Schleswig area). 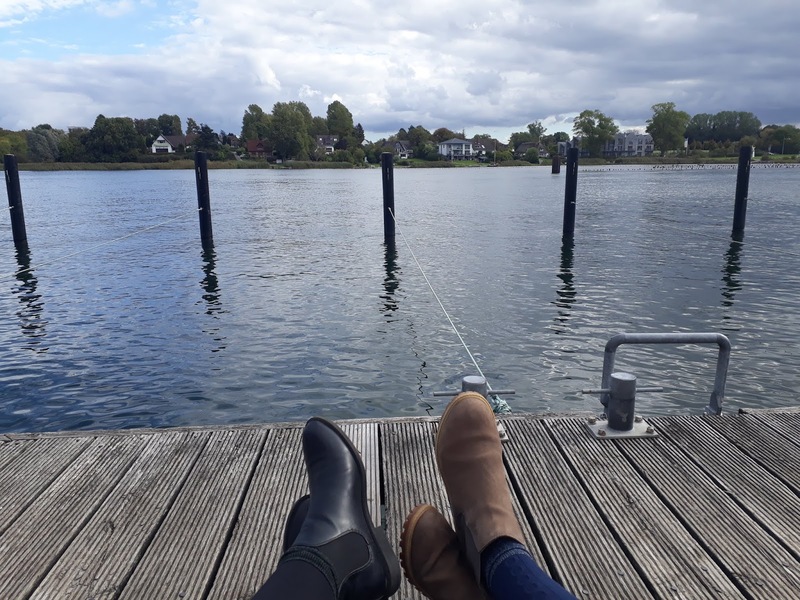 We both felt attracted to Schleswig and Kappeln, the east. We're supposed to go Schleswig next week, so we decided to go to Kappeln. Almost immediately we felt that we needed to check the buses that would take us there. We both felt that it was urgent for us to get to Kappeln as soon as we could. Well, our faith and diligence was definitely tried because the bus that would take us to the main bus station was going to leave in 10 minutes. We ran to get our shoes and coats on. Sister Vreugdenhil grabbed the pamphlets and I filled a backpack full of Books of Mormon. We didn't know when we would be back in that area, so we didn't want to take any chances with languages! We caught our first bus, but it was clear we wouldn't make our second bus. So, we decided to get off at a stop near (not really near but it was closer than the others) to the main station and run. As the bus prepared to stop, we prepared ourselves for the run. I asked Sister Vreugdenhil if she thought we'd make it and she said "If God wants us to go to Kappeln, we will make it." And that was enough to keep me running. The bus stopped and we ran. We probably ran about 1/2 mile, but it was a trial. The backpack and sidebag were killing me, but I kept going and so did Sister Vreugdenhil. We got to the station at 11.30, when our bus was supposed to be leaving. We had no clue where we needed to go, but by the grace of God we were guided directly to the bus. And by the grace of God the bus driver opened the doors for us. We sat down, coughing to catch our breath, and I couldn't help but laugh and smile at the fact that we had caught a bus that we physically should not have caught. We got to Kappeln within a hour and got to work. We talked to everyone we could speak to. We placed one Arabic Book of Mormon in the hands of a very eager man. I know he is the reason we kept running when we wanted to give up. I know he's the reason we caught the bus when it should have left us behind. We also found 2 women and we had amazing conversations with them. We weren't able to exchange contact information, but I know we were meant to find then and speak with them. I know we were meant to share our testimonies of God's plan and love with them. We also stopped a different woman, and that was a turning point for me. We had asked her if she believes in God and she said she did. We then asked her if she believes that God can communicate with us today, she said she did. We then asked her if she had heard about the Book of Mormon, and she said she hadn't. We began to tell her that it is another testament of Jesus Christ, and that it works with the bible to teach the doctrine of Christ. Well, she wasn't quite happy with that. She began to tell us that it was a lie. That everything we had just told her was a lie. Normally I'm okay when people respond to us in impolite ways, but thus time I wasn't. This lady just continued to speak so cruelly about the Book of Mormon and she hadn't even read it. I literally could not stay quiet. 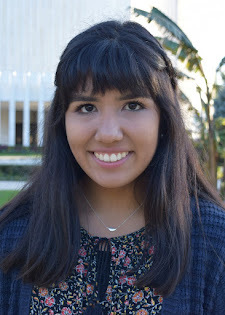 I just thought of all the sacrifice that not only I have made to be here, but also that members of the Church of Jesus Christ of Latter-day Saints made to get the Book of Mormon published. I just started testifying for what seemed like forever. And once I was done, this lady just stood quietly. She began to speak in a softer way than she was before. She said that she believed she had mixed up the Book of Mormon for a different book. And that was the end of our conversation. I gained a better appreciation of what it means to be willing to stand as witness of Christ in all things and in all places. I know that the Book of Mormon is not a "Lügen" (lie). I know that it really is the word of God. I know that the Book of Mormon was written specifically for this time. It is not just a fairytale, but an actual account of ancient people and their dealings with God. I know that the Book of Mormon was preserved for this time. It is meant for refugees, and we are all refugees of some type. I know Joseph Smith was guided to the Book of Mormon and given the authority and power of God to be able to translate it. I know the Book of Mormon contains the fullness of the teachings of Christ, it goes together with the bible. If you have not read the Book of Mormon, please, please, please read it. If you have read, please, please, please do not forget how precious this book is, do not take it for granted. Jesus Christ set the example for us with prayer and receiving answers from God when he knelt in prayer in the garden of gethsemane and took upon himself all of our sins and suffering. Joseph Smith reminded us of that example by acting on James 1:5 and kneeling in prayer to ask God which church he should join. We all have the ability to receive answers on our own from God, we just need to be humble and ask. I am unbelievably grateful to know for myself that these things are true, and I invite you to "ask God, the Eternal Father, in the name of Christ, if these things are not true; and if ye shall ask with a sincere heart, with real intent, having faith in Christ, he will manifest the truth of it unto you, by the power of the Holy Ghost. And by the power of the Holy Ghost ye may know the truth of all things." I know He will answer you.